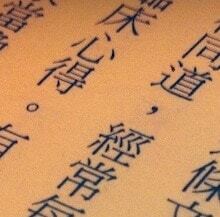 I began studying Chinese when I was 17 after having a great high-school teacher. In college I majored in East Asian studies, eventually spending most of my 20s living and working in Taiwan. After teaching kindergarten and playing music with a motley collection of expatriates for a few years, I moved to Taipei, enrolled in further language study and eventually, somewhat improbably, ended up as a translator for a Dutch bank on the Taiwan Stock Exchange. Finance didn't take. What had begun as a long-term interest in Daoism morphed as these things do into a pursuit of Chinese medicine and the story went on from there. In those days there was a program for Chinese medicine taught completely in Chinese at the American College of Chinese Medicine in San Francisco. I thought a degree from there would help me work in the US (and of course liked the idea of living in San Francisco) so I sold my tatami mats and business suit and came back to North America. After studying at ACTCM, I went to Chengdu for a year to study herbs then spent two years in my native Kentucky practicing acupuncture. After a few years seeing patients, I realized that I had much more to learn. I had seen Dr. Wang Juyi speak at a weekend seminar in California and, on a whim, I determined to look him up. With what now looks like a bizarre leap of faith, my wife and I moved to Beijing. I called Dr. Wang on the phone (only after arriving) and he happened to be home. What thus began in what I thought would be a brief sojourn to collect a few clinical tricks ended up shaping the rest of my life. The approach to Chinese medicine that Dr. Wang embodied was one shaped by the earthy, practical reality of twentieth century China. He strove to come up with ideas that worked while drawing from the maps provided in the classics; to get out of his head and into his hands. He was like me in the sense that he loved to think and found that a hands-on palpation based approach to acupuncture helpfully limited the temptation to devise beautiful and elegant diagnoses and treatments that didn't actually work. Palpation prevents theoretical quicksand. Twenty years later, I'm still finding new things through palpation, learning from other palpation traditions and chipping away at the edges of what I think I can do with Chinese medicine.